Since the initial flare-up in Iraq little over a fortnight ago, many commentators have been revising or tweaking their Brent price predictions and guidance for the remainder of 2014. The Oilholic won't be doing so for the moment, having monitored the situation, thought hard, gathered intelligence and discussed the issue at length with various observers at the last OPEC summit and 21st World Petroleum Congress earlier this month. Based on intel and instinct, yours truly has decided to maintain his 2014 benchmark price assumptions made in January, i.e. a Brent price in the range of US$90 to $105 and WTI price range of $85 to $105. Brent's premium to the WTI should in all likelihood come down and average around $5 barrel. Nonetheless, geopolitical premium might ensure an upper range price for Brent and somewhere in the modest middle for the WTI range come the end of the year. Why? For starters, all the news coming from Iraq seems to indicate that fears about the structural integrity of the country have eased. While much needed inward investment into Iraq's oil & gas industry will take a hit, majority of the oil production sites are not under ISIS control. In fact, Oil Minister Abdul Kareem al-Luaibi recently claimed that Iraq's crude exports will increase next month. You can treat that claim with much deserved scepticism, but if anything, production levels aren't materially lower either, according to anecdotal evidence gathered from shipping agents in Southern Iraq. The situation is in a flux, and who has the upper hand might change on a daily basis, but that the Iraqi Army has finally responded is reducing market fears. Additionally, the need to keep calm is bolstered by some of the supply-side positivity. For instance, of the two major crude oil consumers – US and China – the former is importing less and less crude oil from the Middle East, thereby easing pressure by the tanker load. Had this not been the case, we'd be in $120-plus territory by now, according to more than one City trader. Some of the market revisions to oil price assumptions, while classified as 'revisions' have been pragmatic enough to reflect this. Many commentators have merely gone to the upper end of their previous forecasts, something which is entirely understandable. For instance, Moody's increased the Brent crude price assumptions it uses for rating purposes to $105 per barrel for the remainder of 2014 and $95 in 2015. In case of the WTI, the ratings agency increased its price assumptions to $100 per barrel for the rest of 2014, and to $90 in 2015. Both assumptions are within the Oilholic's range, although they represent $10 per barrel increases from Moody's previous assumptions for both WTI and Brent in 2014 and a $5 increase for 2015. "The new set of price assumptions reflects the agency's sense of firm demand for crude, even as supplies increase as a response to historically high prices. New violence in Iraq coupled with political turmoil in that general region in mid-2014 have led to supply constraints in the Middle East and North Africa," Moody's said. But while these constraints exist, Moody's echoed vibes the Oilholic caught on at OPEC that Saudi Arabia, which can affect world global prices by adjusting its own production levels, has appeared unwilling to let Brent prices rise much above $110 per barrel on a sustained basis. Away from pricing matters to some ratings matters with a few noteworthy notes – first off, Moody's has upgraded Schlumberger's issuer rating and the senior unsecured ratings of its guaranteed subsidiaries to Aa3 from A1. Pete Speer, Senior Vice-President at the agency, said, "Schlumberger's industry leading technologies and dominant market position coupled with its conservative financial policies support the higher Aa3 rating through oilfield services cycles. The company's growing asset base and free cash flow generation also compares well to Aa3-rated peers in other industries." Meanwhile, Fitch Ratings says the Iraqi situation does not pose an immediate threat to the ratings of its rated Western investment-grade oil companies. However, the agency reckons if conflict spreads and the market begins to doubt whether Iraq can increase its output in line with forecasts there could be a sharp rise in world oil prices because Iraqi oil production expansion is a major contributor to the long-term growth in global oil output. The conflict is closest to Iraqi Kurdistan, where many Western companies including Afren (rated B+/Stable by Fitch) have production. However, due to ongoing disagreements between Baghdad and the Kurdish regional government, legal hurdles to export of Iraqi crude remain, and therefore production is a fraction of the potential output. Other companies, such as Lukoil (rated BBB/Negative by Fitch), operate in the southeast near Basra, which is far from the areas of conflict and considered less volatile. Alex Griffiths, Head of Natural Resources and Commodities at Fitch Ratings, said, "Even if the conflict were to spread throughout Iraq and disrupt other regions, the direct loss of revenues would not affect major investment-grade rated oil companies because Iraqi output is a very small component of their global production." "In comparison, disruption of gas production in Egypt and oil production in Libya during the "Arab Spring" were potential rating drivers for BG Energy Holdings (A-/Stable) and Eni (A+/Negative), respectively," he added. On a closing note, here is the Oilholic's latest Forbes article discussing natural gas pricing disparities around the world, and why abundance won't necessarily mitigate this. That's all for the moment folks. Keep reading, keep it 'crude'! 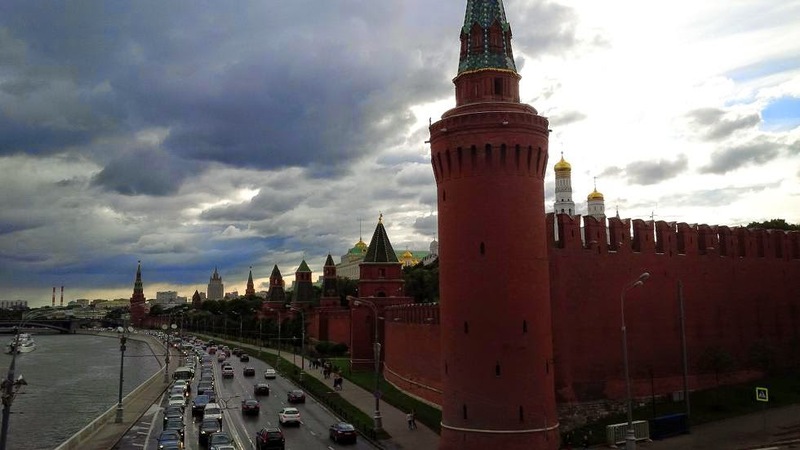 The 21st World Petroleum Congress came to a close last evening at the mammoth Crocus Expo Center in Moscow, and its almost sundown here at the Red Square. A hectic five days gave plenty of food for thought and 'crude' tangents for discussion. 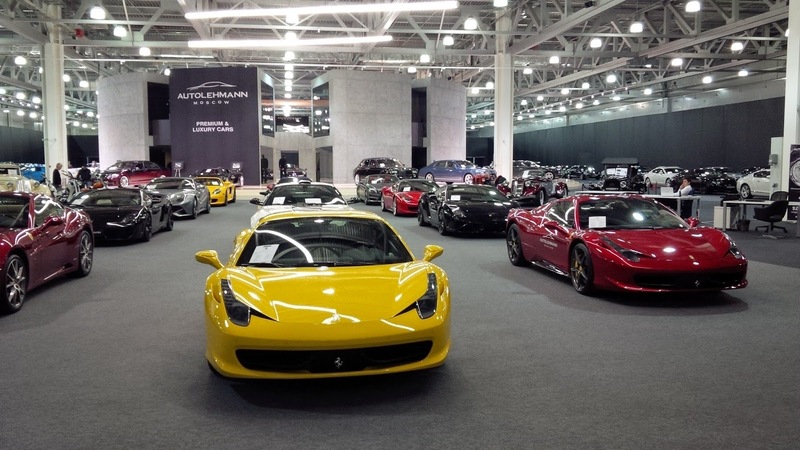 As noted on Tuesday, the Ukraine standoff failed to overshadow the event, as a veritable who's who of the oil & gas industry turned up regardless. Most movers and shakers, whether correctly, conveniently or cleverly, cited the premise that the Congress was a global event being hosted by Russia, and not a Russian event. So, in the eyes of most, there was no place for international politics. But it was certainly the place for industry intelligence gathering on an international scale. If anything, it was the events in Iraq that cast a shadow over discussions rather than Ukraine. And with a rather eerie coincidence, just as the Congress came to a close on Thursday, the Brent front month futures price spiked to an intraday high of US$115.71 per barrel. That's the highest on record since September last year. Most analysts here for the Congress noted that the speed with which the events are unfolding is most troubling and has serious implications for the oil price. For the present moment, the Oilholic is maintaining his price range prediction for Brent in the range of $90-105 circa. Instead of rushing to judgement, given that the US need for Middle Eastern crude oil is narrowing, this blogger would like to monitor the situation for another few weeks before commenting on his price prediction. 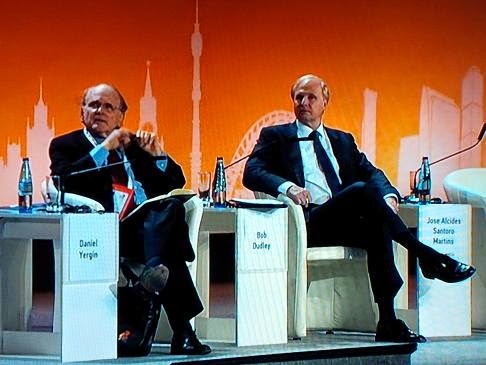 Meanwhile, Iran is out in force in Moscow pitching $100 billion worth of oil & gas projects. Additionally, among the many views on where to turn for new hydrocarbon resources, Arctic oil & gas exploration seems to be all the rage here. Here is the Oilholic's take in a Forbes article. Elsewhere, executives from Saudi Aramco to Shell stressed the need to reduce output costs. Or to cite one senior executive, "We're seeking to either equal or better costs incurred by US unconventional plays." 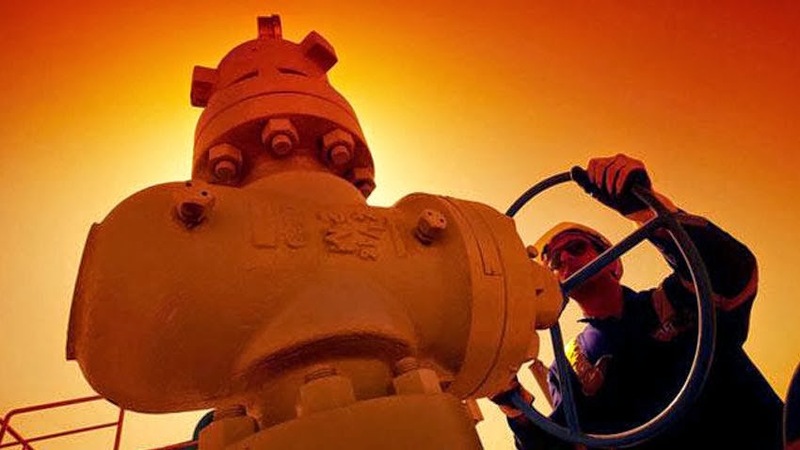 Drilling for oil has various permutations, but if natural gas is the objective, the target should be around $2 per thousand cubic feet, according to various US commentators here. The oil & gas industry as whole is likely to need financing of $1 trillion per annum over the next 20 years as unconventional plays become commonplace, at least that's the macro verdict. Speaking in Moscow, Peter Gaw, managing director of oil, gas and chemicals at Standard Chartered, said the banking sector could meet the demands despite a tough recovery run from the global financial crisis. Anecdotal evidence here and wider empirical evidence from recent deals suggest private equity firms will continue to be players in the services business. But Gaw also saw hybrid finance deals involving hedge funds and pension funds on the cards. Andy Brogan, global leader of EY's oil & gas transactions, said the diversity of projects both in region and scope is evident. Asia Pacific and Latin America should be the two regions on the radar as some financiers attempt to move beyond North America. Sounding cautiously optimistic, Brogan added that the post-crisis "appetite" is gradually returning. A senior US industry source also told the Oilholic that Bakken capex could top all industry estimates this year and might well be in the $20-25 billion range. Away from financing, a few other snippets, the Indian delegation left pledging more information on a new rationalised tax regime, licensing policy, and a move on its highly political subsidies regime.The world's fourth largest energy consumer is looking to stimulate foreign investment in its oil & gas sector. However, to facilitate that, India's new Prime Minister Narendra Modi knows he has to shake things up. Meanwhile, BP, already an investor in India, has inked a $20 billion LNG sale and purchase agreement with CNOOC, China's leading LNG projects developer. While the rest of us were in Moscow, Chinese Premier Li Keqiang and British Prime Minister David Cameron were among onlookers as the deal for up to 1.5 million tonnes per annum of LNG starting from 2019 was being inked. Lastly, it has to be said that over the first two days of the Congress, the Oilholic nipped in and out of 8 forums, talks and presentations and one keynote. Not a single one passed without 'shale' being mentioned for better or for worse! That brings yours truly to the final thoughts from Moscow and there's more than one. Firstly, the Congress has widely acknowledged the US shale bonanza is now firmly beyond doubt. Secondly, the thought that Arctic oil & gas exploration is the next 'final frontier' is getting firmly entrenched in the thinking of most here in Moscow. Finally, Istanbul should be congratulated on being named the host city of the 22nd World Petroleum Congress. By the time delegates arrive in town in 2017, the 'Kanal İstanbul' project should be well underway and the fate of the world's second-busiest oil & gas shipping artery – the Bosphorus – could make a good starting point. On that note, its time to say Dos Vedanya to Russia and take the big flying bus home to London Heathrow! 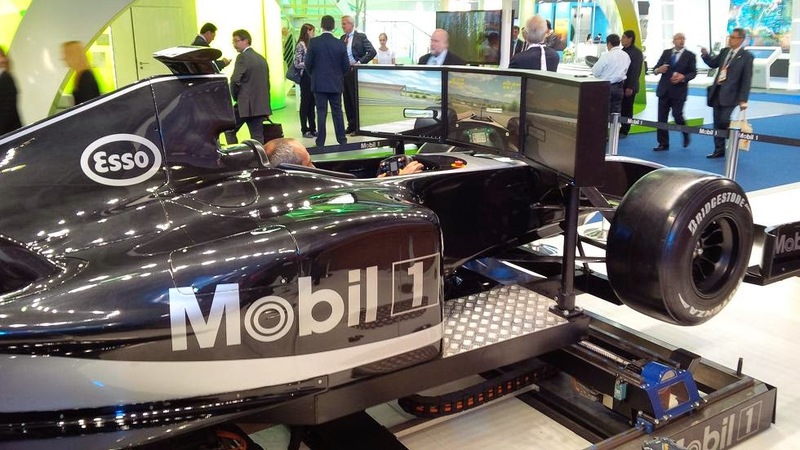 Here is a selection the Oilholic's photos from the Congress, which has been a memorable outing. It was an absolute pleasure visiting the Russian capital after a gap of 10 years, but sadly that's all from Moscow folks. Keep reading, keep it 'crude'! © Gaurav Sharma 2014. 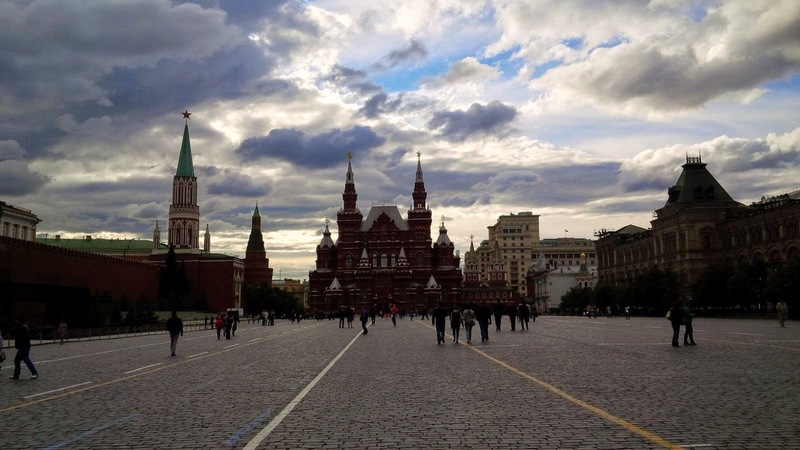 Photo 1: Red Square, Moscow, Russia. Photo 2: Logo of the 22nd World Petroleum Congress scheduled to be held in Istanbul. © Gaurav Sharma, June 2014. The Oilholic has been tweeting like mad from the 21st World Petroleum Congress over a hectic few days, though not all of the chirps are 'crude' of course. Away from tweeting today, one found an opening to talk to members of the Iranian delegation who are using the Congress – their first since a partial lifting of sanctions – to declare the country's oil & gas sector open for business. The aim is to bring in more foreign investment and technological know-how, in wake of securing limited international sanctions relief from a November interim agreement to temporarily curb its nuclear activities. Setting out its stall, the National Iranian Oil Company (NIOC) has floated the idea of 41 projects aimed at the development of oil & gas fields, establishment of natural gas liquid (NGL) plants, and the collection of ancillary petroleum gas at oilfields. The latter project slant is of great significance, as the Iranians usually burned off the gas in the past due to lack of infrastructure, rather than tap it as an additional resource. The total valuation is in the region of US$100 billion, as confirmed by an NIOC official and a new contractual framework is on the table. According an official, under the terms of the previous buy-back contracts, the said contractors were a set price for oil & gas produced. Under the planned new system (the Iranian Petroleum Contract), state-run energy companies will establish joint ventures with their international counterparts, which will be paid with a share of the output. All sounds clear enough, but unless the sanctions are lifted further, one doubts how international players can circumvent the existing sanctions and proceed anyway. Nonetheless, there seems to be a very relaxed atmosphere within the Iranian camp here in Moscow, who are at the forefront of making their country's pitch. And there is some bluster too as usual. Iranian Oil Minister Bijan Namdar Zanganeh has said that the country's oil industry would go ahead with the projects, with or without sanctions, which have "not hindered progress." The Oilholic doubts that, but agrees with Zanganeh's assertion, back in April, that in order for Iran to revise how it regulates oil & gas contracts further, sanctions must be lifted more meaningfully. Companies are still queuing up though led by CNPC, Gazprom and Petronas. The Oilholic can confirm Eni and Total are also in talks with Iran, according to a senior source. However, US oil & gas majors are largely staying away and BP is understood to be "monitoring the situation" with nothing concrete having materialised so far. With proven reserves in the region of 360 billion barrels of oil (boe) equivalent, there is a lot at stake, so watch this space! Among what the country holds, the Northern Iranian states should be pretty interesting, according to Farrokh Kamali, a recently retired technical advisor to the Iran LNG Company. In 2011 and 2012, Iran found potential for 10 billion barrels of crude and 5 trillion cubic feet (tcf) of gas in its territory of the Caspian Sea. Kamali describes the findings as "economically viable". Meanwhile, the Indians are making waves too. People turned up in their hordes to hear what the newly appointed Minister of State for Petroleum and Natural Gas Dharmendra Pradhan had to say about the Narendra Modi government's planned revision to India's highly political subsidy system, which if significantly altered, could aid investment in the country's oil & gas sector. First off, Pradhan stressed on the ties and friendship between Delhi and Moscow. Secondly, he noted that energy policy must serve broader economic growth and its benefits should not exclude "the poor and the vulnerable." Thirdly, he noted that the oil & gas industry's efforts must focus on promoting fiscal and regulatory regimes that are stable and equitable to both investors and owners of natural resources. Fourthly, he called for enhancing technological collaboration across the value chain since the nations have to "delve deeper" and explore in more difficult areas for hydrocarbons. And then he left! Some were disappointed with Pradhan, but the Oilholic wasn't. A new minister, in a new government was hardly going to go down the path of saying something beyond the box – that's India, correction politics, for you. Sticking with India, a Bharat Petroleum official gave fascinating insight into how the company is improving surveillance of its vast pipeline network. Manoj Kumar Jadhaw, manager of pipelines at the Indian state-owned company, said they are trialling a GPS tracking system for their 'line walkers' to ensure the walkers are actually walking and monitoring (and not skiving) along the length of the pipeline to prevent resource tapping or pilferage, a common occurrence in that part of the world. Initial feedback has been great but the project only extends to 300km. When you are talking 40,000km of pipelines, there's some way to go yet! That's all from Moscow for the moment folks! Keep reading, keep it 'crude'! © Gaurav Sharma 2014. 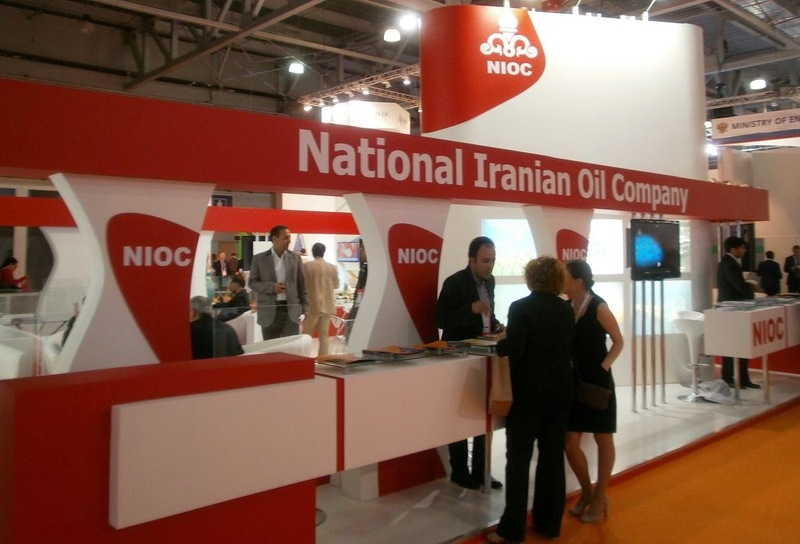 Photo: National Iranian Oil Company enclosure at 21st World Petroleum Congress, Moscow, Russia. © Gaurav Sharma, June 2014. 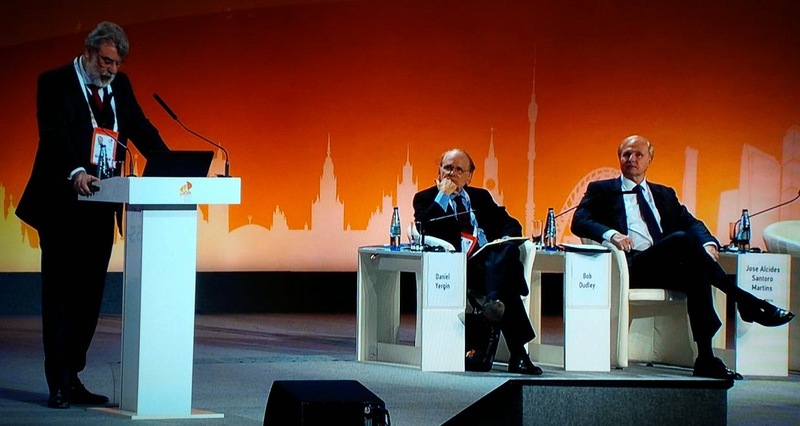 The Oilholic finds himself in Moscow for the 21st World Petroleum Congress, following on from the last one in Doha three years ago. However, what's different here is that while the Congress is a global event – often dubbed the Olympics of the oil & gas business – the 2014 host government Russia is involved in a face-off with the West over Ukraine. There were whispers on Sunday that some governments and corporates alike would boycott the Congress. However, based on evidence here on the ground over the first day and half, the gossip seems to be unfounded. At the mammoth Crocus Expo Centre, mingling with some 5,000 delegates are IOC and NOC bosses of every colour, stripe or nationality. Government representatives from around the world seem to be in solid attendance too. For instance, India's new Petroleum and Natural Gas Minister Dharmendra Pradhan seems to be a popular man with delegates doubtless wishing to gain insights into Prime Minister Narendra Modi's energy policy. On the other hand, the US government has sent no high level representative and while the Canadians are here, the all important oil producing province of Alberta has decided, as one source says "not to participate." That aside, doing a like-for-like comparison with Doha, this blogger sees no reduced levels of participation. Those who are here saw ExxonMobil chief executive Rex Tillerson, attending (and addressing) his fourth WPC. Tillerson called for a push on unconventional including Arctic drilling accompanied by "wise environmental stewardship." "We must recognise the global need for energy is projected to grow, and grow significantly," he added. Close on Tillerson's heels, OPEC Secretary General Abdalla Salem El-Badri told the Congress: "In a global energy future, and with connected markets, no one party can act alone. We need shared solutions for market stability." Acknowledging his hosts, El-Badri added that there were healthy partnerships between Russian oil companies and OPEC member NOCs choosing to flag-up the global footprint of Lukoil as an example. "Russia a key partner in the global energy supply equation as the world's second-largest oil exporter," El-Badri said further. This morning, BP's boss Bob Dudley said the US shale bonanza had to be taken into context before jumping to global conclusions. "Not all shale is good from a commercial standpoint," he said sharing the stage with Daniel Yergin (Pulitzer Prize winning author and IHS Vice chairman) and Jose Alcides Santoro Martins (Director of energy & gas and board member of Petrobras). Dudley also said oil & gas sector project investment these days was driven by much better capital discipline. The industry had learnt and there was ever greater ROCE (return on capital employed) scrutiny. Earlier, Dudley's PR boys managed a bit of a coup by timing the release of the company's latest Statistical Review of World Energy, one of the industry's most recognised annual research reports, on the first day of the Congress. BP's 63rd annual statistical trend update since 1952 noted that last year China, USA and Russia were the three largest consumers of oil and gas. US and China collectively accounted for 70% of global crude oil demand. More generally, non-OECD demand for 2013 came in below average, while OECD demand, propped up by the US was above average, according to BP Chief Economist Christof Ruhl, soon to be Abu Dhabi Investment Authority's inaugural global head of research. Tight oil plays edged US production up by over 1 million barrels per day (bpd) to 10 million bpd; the country's highest production rate since 1996. Ruhl opined that this was largely behind relatively stable global oil prices as North American output matched each supply disruption in the Middle East and North Africa virtually "barrel for barrel." Finally, general analyst consensus here about Iraq is that the trouble itself is not as worrying as the speed with which it has unfolded, raising serious questions about the territorial integrity of the country. Additionally, there could be some long term implications for the oil price. Alex Griffiths, head of natural resources and commodities at Fitch Ratings, acknowledges that the seizure of Mosul and attacks on Tikrit by ISIS are not an immediate threat to Iraq's oil production, or the ratings of Western investment-grade oil companies. The areas under attack are not in Iraq's key oil-producing regions in the south or the additional fields in the northeast as discussed earlier on this blog. "However, if conflict spreads and the market begins to doubt whether Iraq can increase its output in line with forecasts there could be a sharp rise in world oil prices because Iraqi oil production expansion is a major contributor to the long-term growth in global oil output," Griffiths added. That's all from Moscow for the moment folks! Keep reading, keep it 'crude'! © Gaurav Sharma 2014. Photo 1: Logo of the 21st World Petroleum Congress, Moscow, Russia. Photo 2: (Left to Right) Jose Alcides Santoro Martins (Petrobras), Daniel Yergin (IHS) and Bob Dudley (BP) © Gaurav Sharma, June 2014. The Oilholic is by no means a photojournalist, but akin to the last congress in Doha, there is no harm in pretending to be one armed with a fully automatic Olympus FE-4020 digital camera here in Moscow! 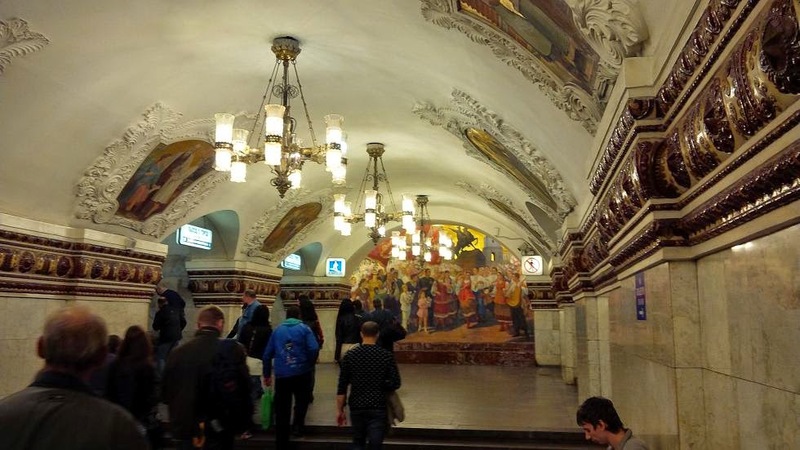 The 21st World Petroleum Congress also marked this blogger's return to Russia and its wonderful capital city after a gap of 10 years. © Gaurav Sharma 2014. Photos from the 21st World Petroleum Congress, Moscow, Russia © Gaurav Sharma, June 2014. Just as the OPEC conference dispersed here in Vienna, the speed with which the situation in Iraq has deteriorated has taken the market by surprise. Can't even blame Friday the 13th; the deterioration started a few days before. There was not an Iraqi official commentator in sight when the trickle of news turned into a flood announcing the rapid advance of Sunni militants (or the Islamic State in Iraq and the Levant, an al-Qaeda breakaway) across vast swathes of the country to within touching distance of Baghdad. The market is keeping reasonably calm for now. However, both Brent spot and futures prices did spike above US$113 per barrel at one point or another over the last 72 hours. We're already at the highest levels this far into 2014. The Oilholic has always been critical when paper traders jump to attach instant risk premium to the crude price at the slightest ripple say in Nigeria or Libya. However, this alas is something else and it matters. For starters, Iraqi production was on a slow and painful recovery run. The trickle of inward investment had started and Kurdish controlled areas weren’t the only ones seeing a revival. This is now under threat. Secondly, a visibly deteriorating situation could draw Iran into the tussle and there are some signs of it already. Thirdly, it has emboldened Kurdish security forces to take over Kirkuk, with unhidden glee. This could dent ethnic calm there in that part of the country. Fourthly, Iraq despite its troubles remains a key member of OPEC. Finally, if you look at a map of Iraqi oilfields, the areas now held by the insurgents would trouble most geopolitical commentators as they cover quite a few hydrocarbon prospection zones. Add it all together and what's happening in Iraq, should it continue to deteriorate, has the potential of adding at least $10 per barrel to the current price levels, and that’s just a conservative estimate. If Iraq gets ripped apart along ethnic lines, all projections would be right out of the window and you can near double that premium to $20 and an unpredictable bull run. That tensions were high was public knowledge, that Baghdad would lose its grip in such a dramatic fashion should spook most. There is one but vexing question on a quite a few analysts’ minds – is this the end of unified Iraq? The Oilholic fears that it might well be. Away from this depressing saga, a couple of notes from ratings agencies to flag up. 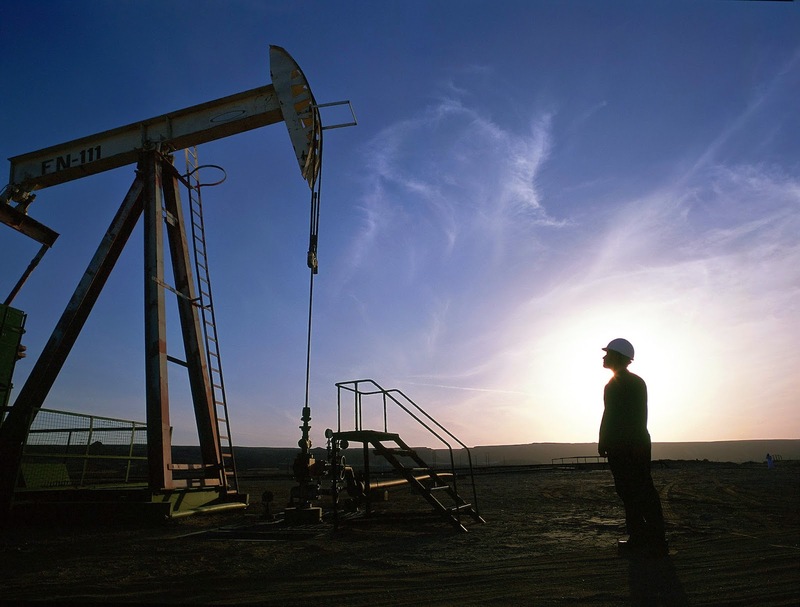 Moody's says the outlook for global independent E&P sector remains positive. It expects growth to continue over the coming 12-18 months, with no "obvious catalyst" for a slowdown. Analyst Stuart Miller reckons unless the price of crude drops below $80 per barrel, investment is unlikely to fall materially for oil and liquids-oriented companies such as Marathon Oil, Whiting Petroleum and Kodiak Oil & Gas. "The positive outlook reflects our view that industry EBITDA will grow in the mid- to high-single digits year over the next one to two years. Stable oil and natural gas prices will enable E&P companies to continue to invest with confidence, driving production and cash flow higher," Miller added. However, a lack of gathering, processing and transportation infrastructure will continue to plague the industry, though to a lesser extent than in the past couple of years. The completion of infrastructure improvements will unshackle production growth rates for companies such as Continental Resources and Oasis Petroleum in the Bakken Shale, and Range Resources and Antero Resources in the Marcellus Shale, according to Moody's. Meanwhile, Fitch Ratings said fracking could help the European Union cut its reliance on Russian Gas. Germany's reported plan to lift a ban on fracking highlights one of several ways that European countries could reduce their reliance on Russian gas, it says. Out of the major European oil and gas companies, Fitch reckons Total could have a head start over rivals if European shale gas production ramps up, because of the experience it has gained from investment in UK shale. The group became the first Western oil major to invest in UK shale after agreeing to take a 40% stake in two licenses earlier this year. Total would also be well positioned if France followed Germany and decided to ease restrictions on shale gas production, as its home market is thought to have some of the largest shale gas reserves in Europe. All of this is well and good, but as the Oilholic noted in a Forbes post earlier this month, Europeans need to be both patient and pragmatic. The US shale bonanza took 30 years to materialise meaningfully, Europe's is likely to take longer. Speaking of shale, here is one's take on why US shale would not hurt OPEC all that much, as legislative impediments prevent the US from exporting crude oil and by default do not give it the feel of a global bonanza. That's all from Vienna folks. Next stop Moscow, for the 21st World Petroleum Congress. Keep reading, keep it 'crude'! 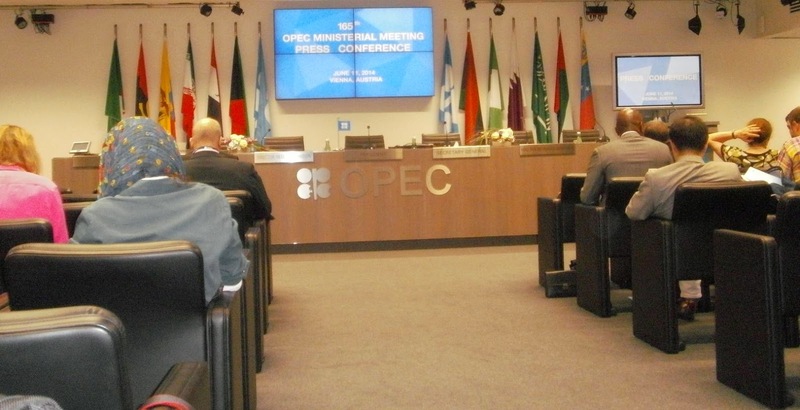 The predictable materialised yet again as OPEC held its quota at 30 million barrels per day following the conclusion of its 165th meeting of ministers. To be honest that's not what the Oilholic hit town for; quota situation was a done deal in most eyes! In fact this blogger was wondering if we'll have some movement on the appointment of a new secretary general. Arriving in the Austrian capital last night, one heard whispers that Nigeria's petroleum minister Diezani Kogbeni Alison-Madueke was lobbying really hard for the post. Politics and merits aside, such an appointment – should it have happened – would have seen a welcome female Secretary General at the 12 member oil exporters' club. As such, it turned out to be hot air, at least for this meeting. Instead, the 74 year-old Libyan industry veteran and current Secretary General Abdalla Salem El-Badri saw his term extended yet again. The latest extension takes him through to June 30, 2015 having been first elevated to the post on January 1, 2007. That's coming up to some record for holding the post. In fact, by this blogger's calculation, the latest extension makes him the longest serving OPEC Secretary General of all time. 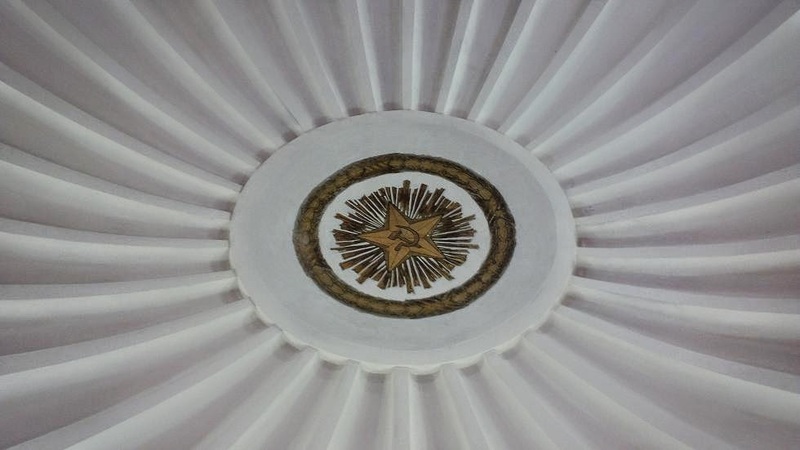 The reason for the appointment extension is the same as it was at the last meeting, and the one before and so it goes. There is simply no compromise candidate that the two major camps, led by the Saudis and the Iranians can agree on. She might be lobbying hard for the post, but Alison-Madueke's quip to a newswire journalist about the Secretary General being "appointed by consensus" rings true. And when there is no consensus, you ring for Mr El-Badri. That's what OPEC has done time and again for this powerful post of late. In more, ways than one, El-Badri is a real trooper and the ultimate compromise candidate. He exudes confidence, has a sense of humour, can tackle or swat down often awkward questions hurled at him by scribes, makes the best of an often bad situation and gets along with most. 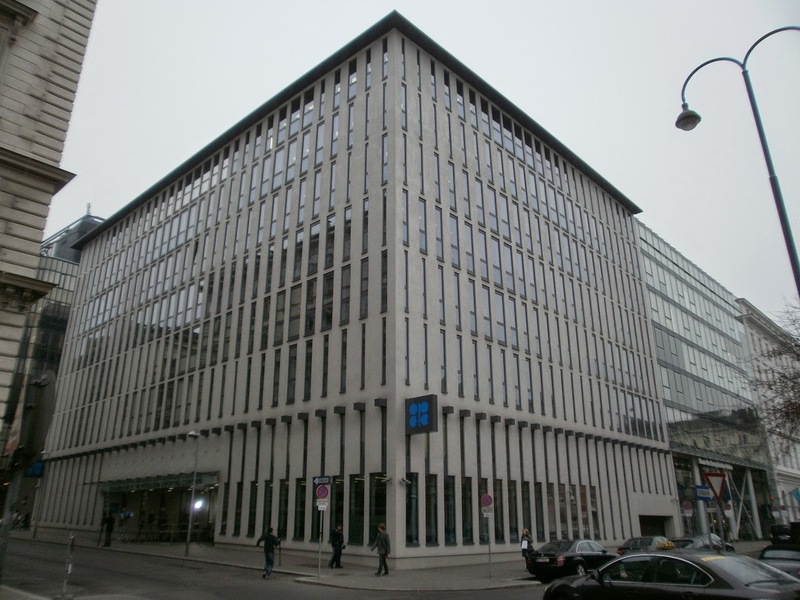 The Oilholic remembers from his last outing to OPEC HQ when El-Badri was given an ironic round of applause by journalists to bid him farewell, full well in the knowledge that yet again OPEC had failed to name a successor. However, he maintained his sense of humour and went through the entire press conference without as much as a twitch. Perhaps in appointing him back in 2007, OPEC raised the bar very high. 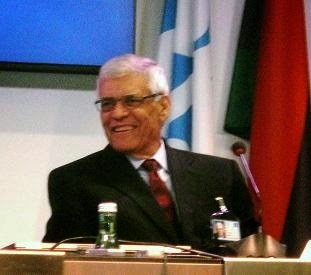 Prior to his arrival at OPEC, the University of Florida educated El-Badri served as Libya's minister for oil and electricity. This was followed by several ministerial stints including one as deputy prime minister from 2002 to 2004. After assuming the Secretary General's position, El-Badri handled some real challenges and a term that began with oil price first spiking above US$140 per barrel and then dipping below $40, followed by the worst financial crisis in modern history. That the current Secretary General has acquitted himself with distinction is beyond doubt, but time has come for him to move on. In its repeated failure to name a successor, OPEC isn't doing itself any good. Meanwhile, the decision to reappoint El-Badri was unanimous. To give the last word to the man himself: "My reappointment as OPEC Secretary General was down to the wisdom of ministers and I have no further comment to make." And there you have it. That's all for the moment folks! Keep reading, keep it 'crude'! © Gaurav Sharma 2014. Photo: OPEC Secretary General Abdalla Salem El-Badri © Gaurav Sharma, June 2014. The scribes, the analysts, the bloggers and the camera crews are all bundled into the media briefing room as the 12 OPEC ministers begin their closed door proceedings for the 165th meeting of the OPEC conference. While an announcement on where the quota will be left at is expected at 14:00 CET, here’s what we know so far. Beginning with (who else) Saudi Oil Minister Ali-Al Naimi, the kingmaker opined this morning that the global oil market was ‘balanced’ at a media scrum. Given all the years the Oilholic has been here, including a previous direct natter with the minister himself, that’s a clear indication that the quota will be staying at 30 million barrels per day (bpd). Elsewhere, those in the wider analysts’ community would perhaps like to know that Libya's man at the table is Omar Ali El-Shakmak, according to a last minute communiqué. Finally, it is manifestly obvious here at Helferstorferstrasse 17 that Nigeria’s petroleum minister Diezani Kogbeni Alison-Madueke is trying to muscle in to the Secretary General’s chair long occupied by Libya’s Abdalla Salem El-Badri, as the organisation has failed to agree on a compromise candidate to succeed him so far. However, Alison-Madueke has strongly denied lobbying for the position. "The Secretary General is appointed by consensus, not lobbying," she said ticking off a few forceful questioners from newswires. As for the office stuff, El-Shakmak, who is also officiating as president of the present meeting, acknowledged the deceleration seen this year in the emerging and developing economies who are fast becoming the organisation’s biggest clients. "India has continued to recover from last year's slowdown, but Russia, China and Brazil have experienced slower output for a variety of reasons. World oil demand is expected to grow by 1.1 million bpd to average 91.2 million bpd in 2014. The bulk of this growth is expected to come from non-OECD countries." Non-OPEC oil supply is also anticipated to rise this year by 1.4 million bpd to reach 55.58 million bpd. "This growth will mainly come from North America and Brazil, while Norway, the UK and Mexico are expected to decline," El-Shakmak explained. More importantly, the OPEC Reference Basket has remained fairly stable over the last two years or so, with annual averages ranging between roughly US$105 and $110 per barrel. "In the past half-year, the Basket has averaged above $104 per barrel from January to May. 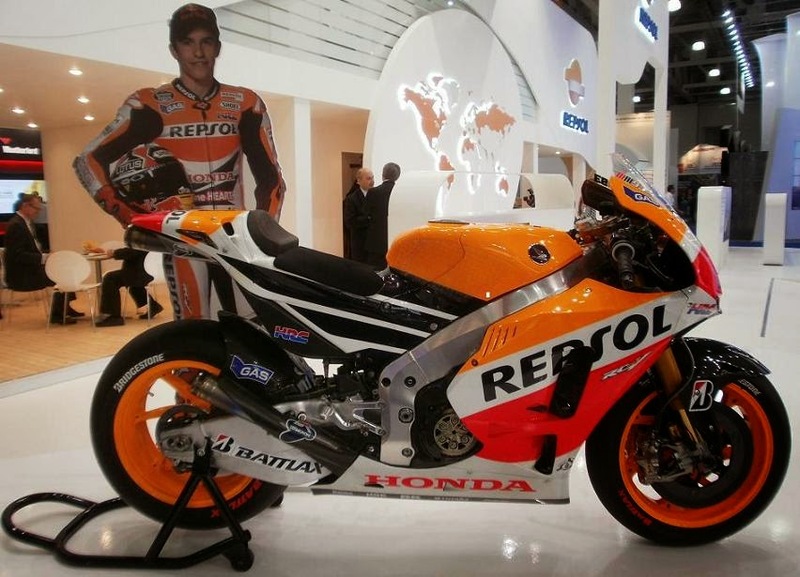 This is a level that is acceptable to both producers and consumers," he concluded. Indeed sir. That's all for the moment folks! Keep reading, keep it 'crude'! © Gaurav Sharma 2014. Photo: Media briefing room at the 165th OPEC meeting of ministers © Gaurav Sharma, June 2014.